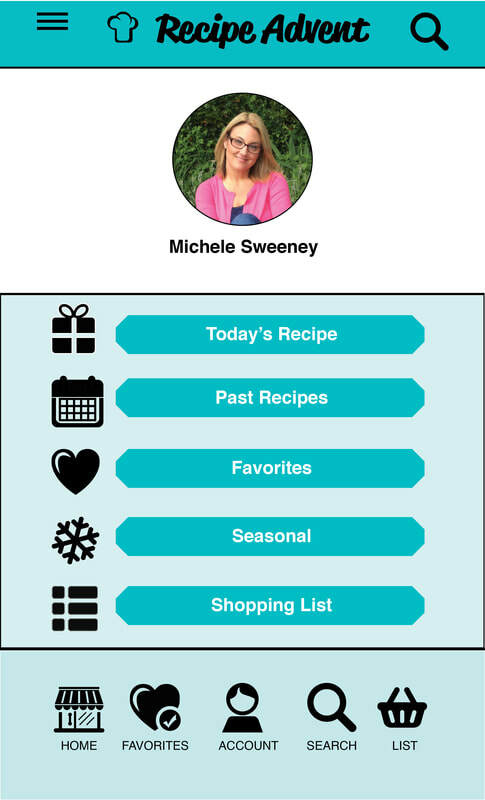 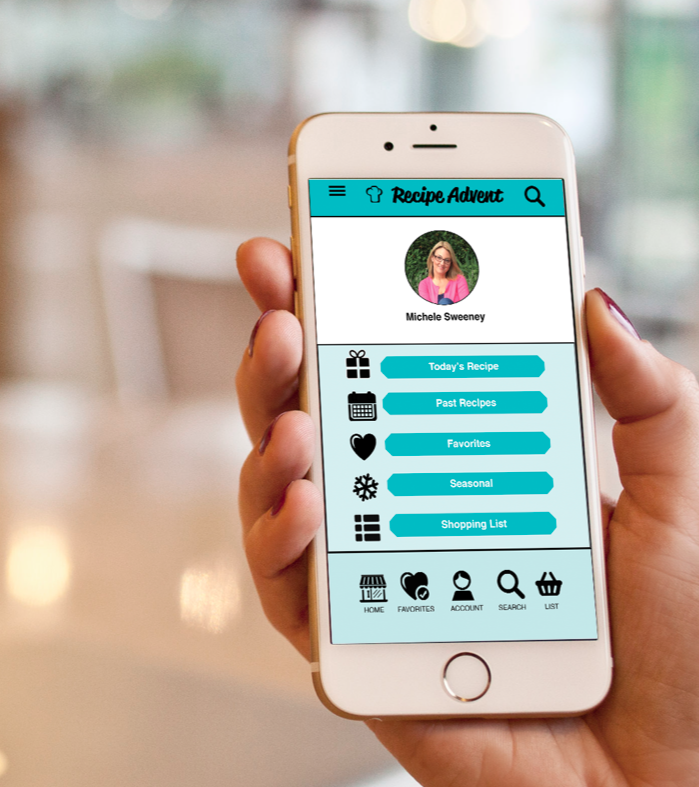 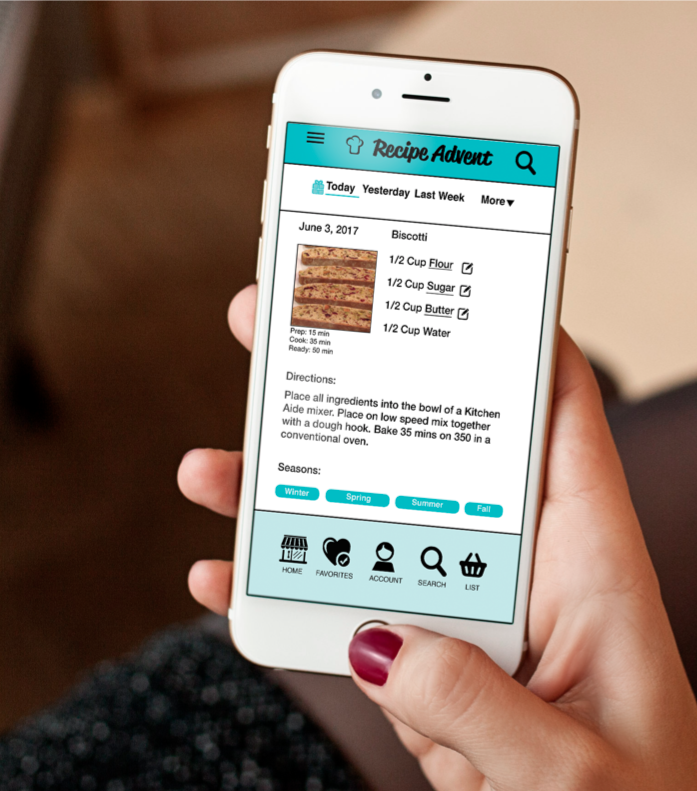 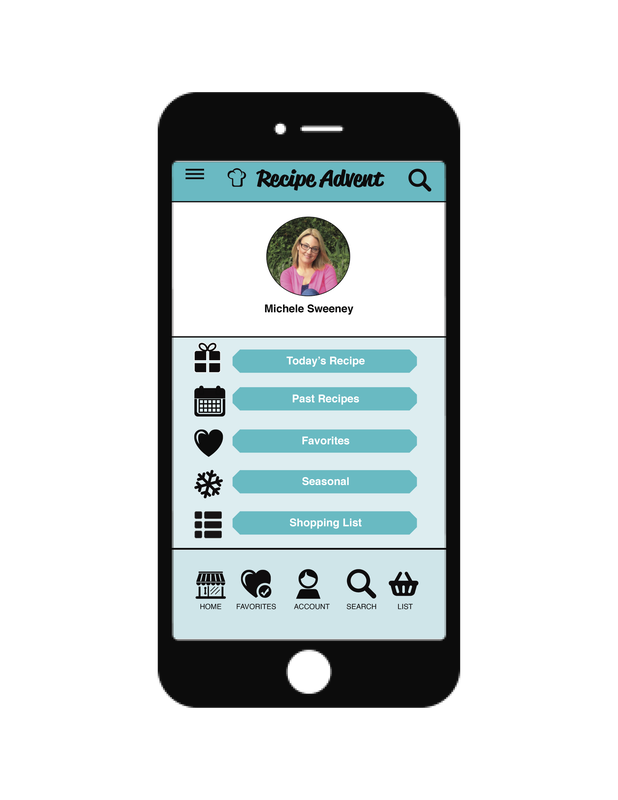 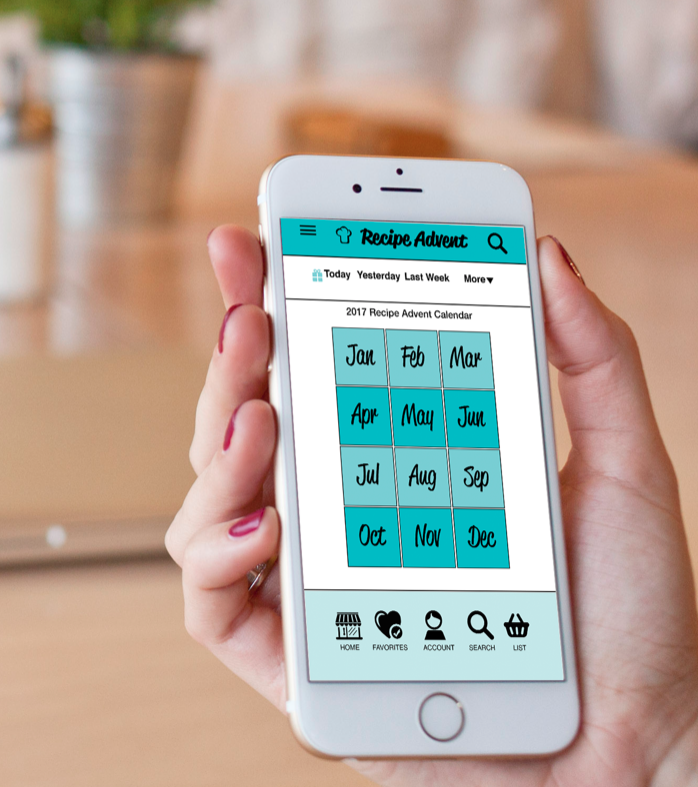 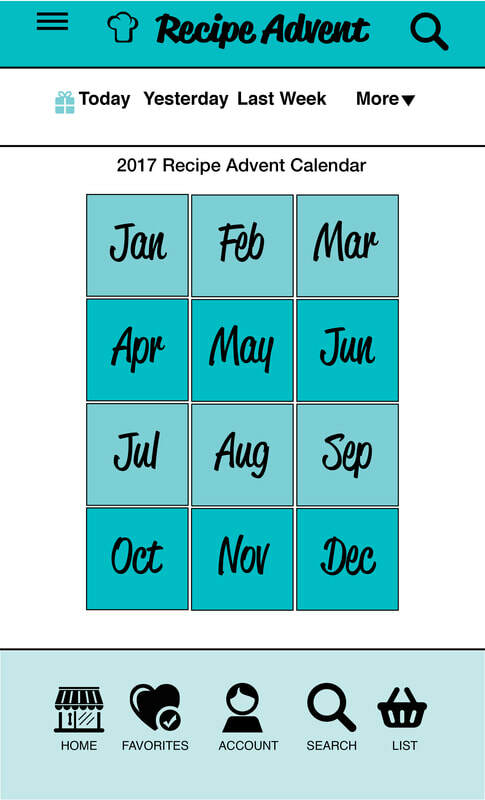 Client wished to engage the user in a fun advent format that allows them to enjoy a new recipe thats delivered to their phone each daily. 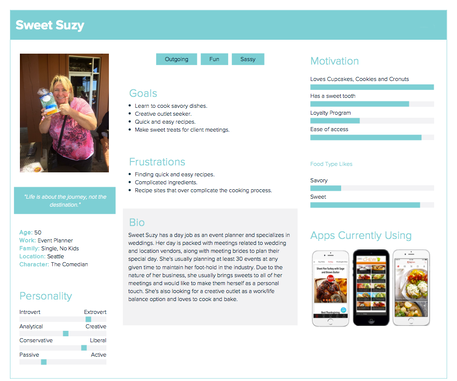 Market research showed our user age range to be from 7 yrs old to senior citizens. 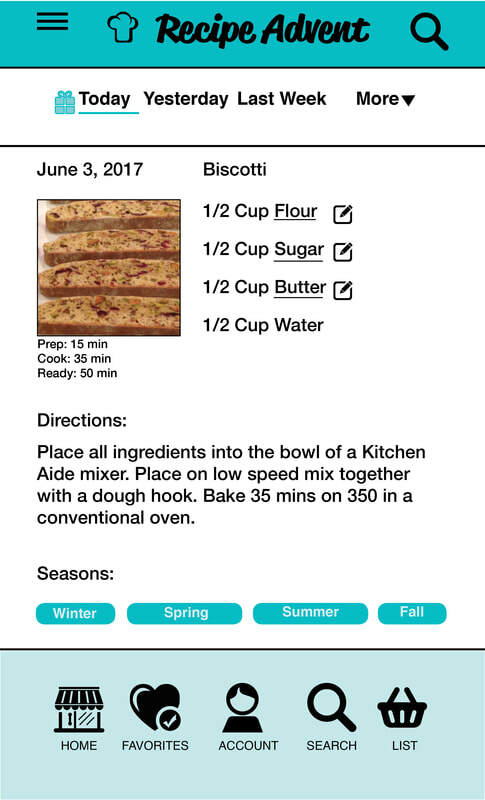 Each day a new recipe is pushed to the user. 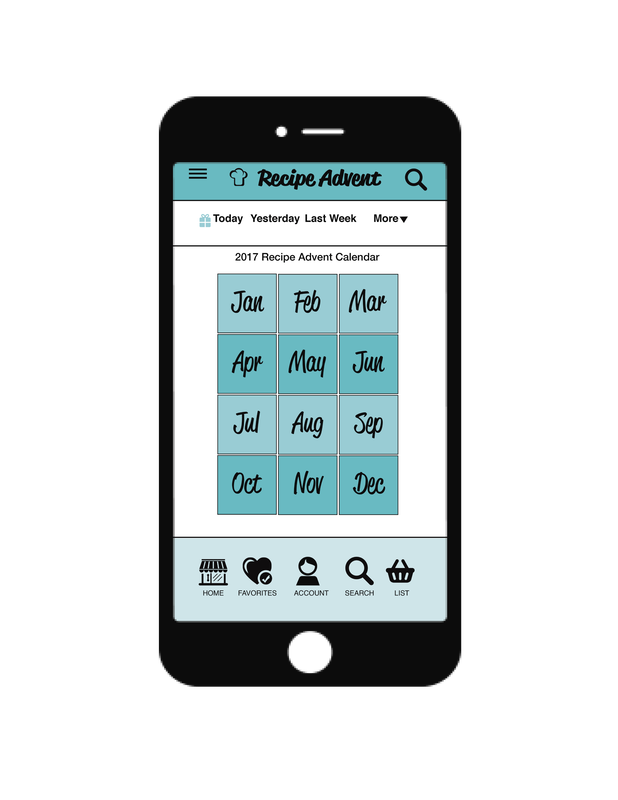 Users should be able to access prior days of the week as well as view by month, year and season. 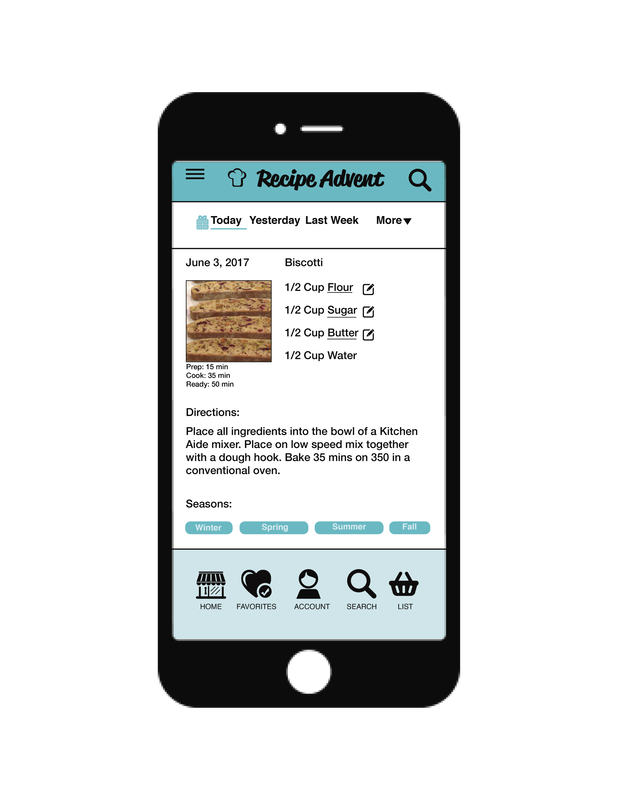 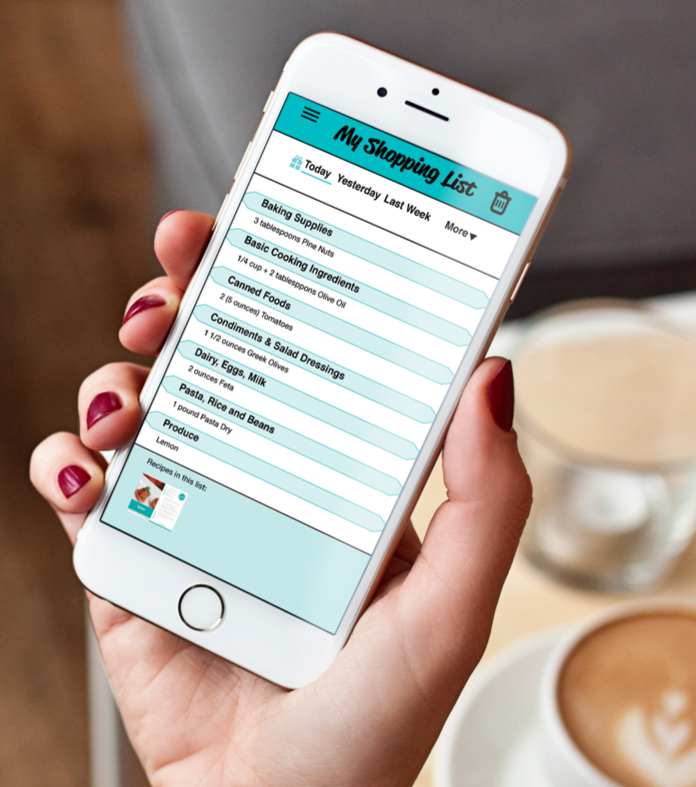 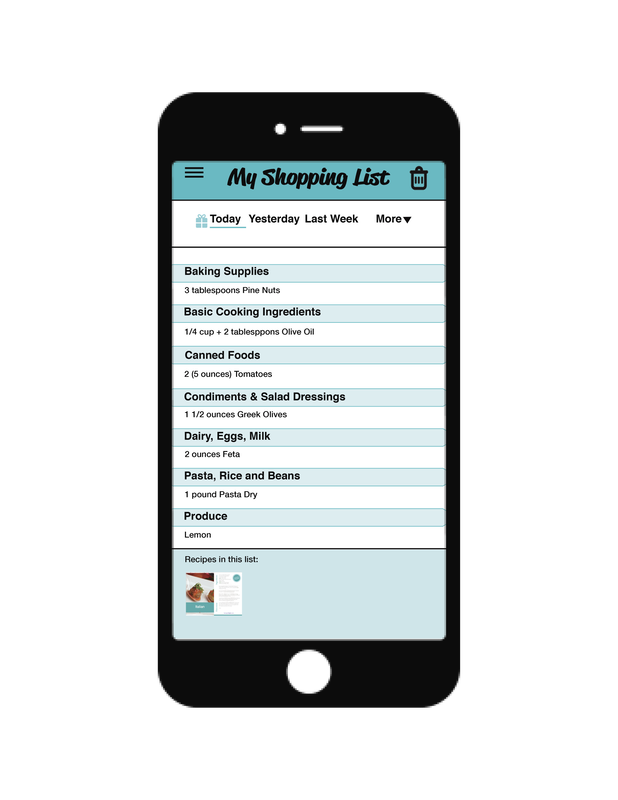 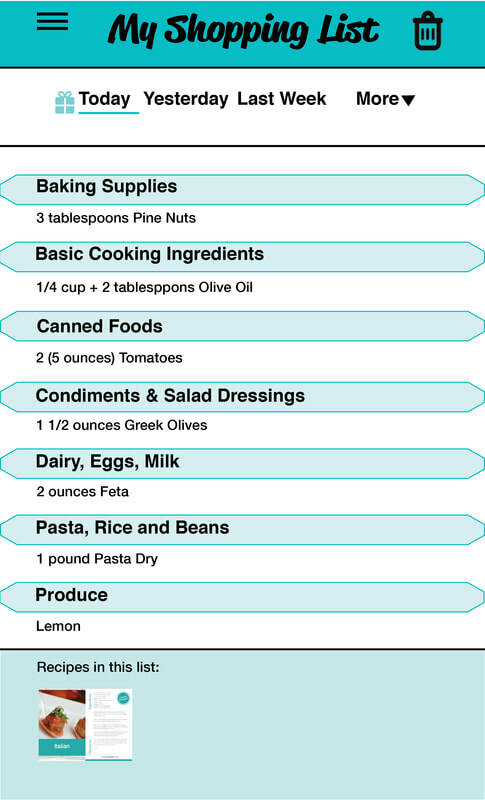 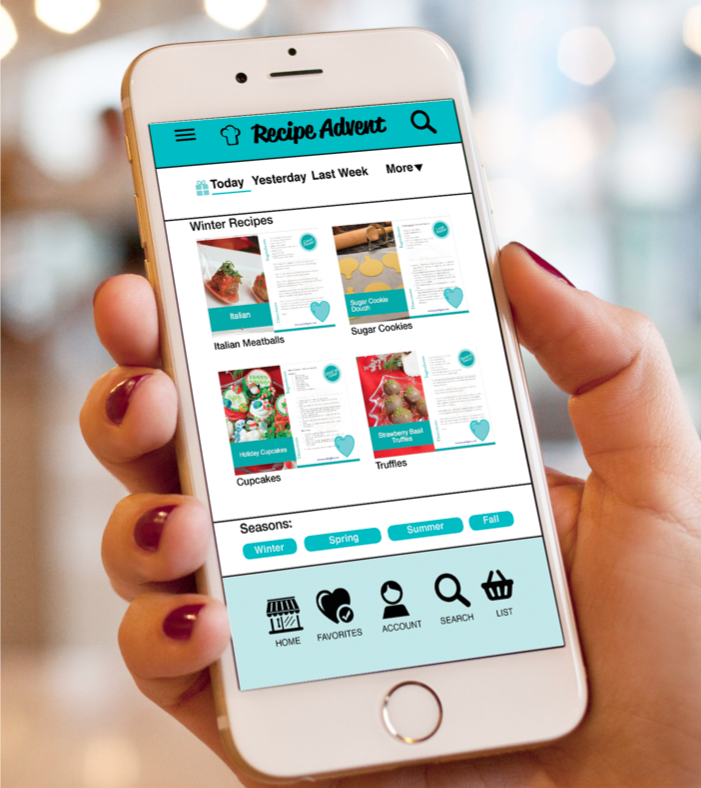 Recipes should include the ability for the user to add ingredients to a shopping list and access the shopping list and have it organized by category to make their trip to the grocery store quick and easy. 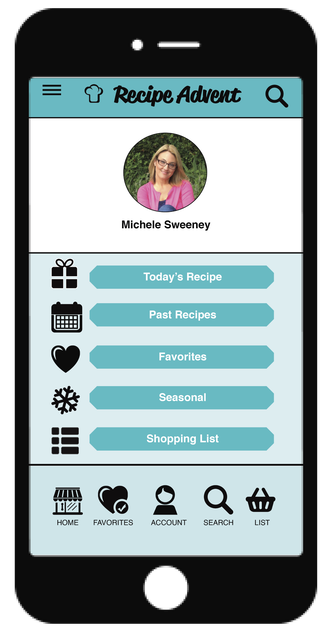 Future releases would include the ability to upload your finished culinary creation to a user gallery and even be entered into weekly or monthly drawing where a users creation is picked and they are awarded a gift card to a grocery store or kitchen store. 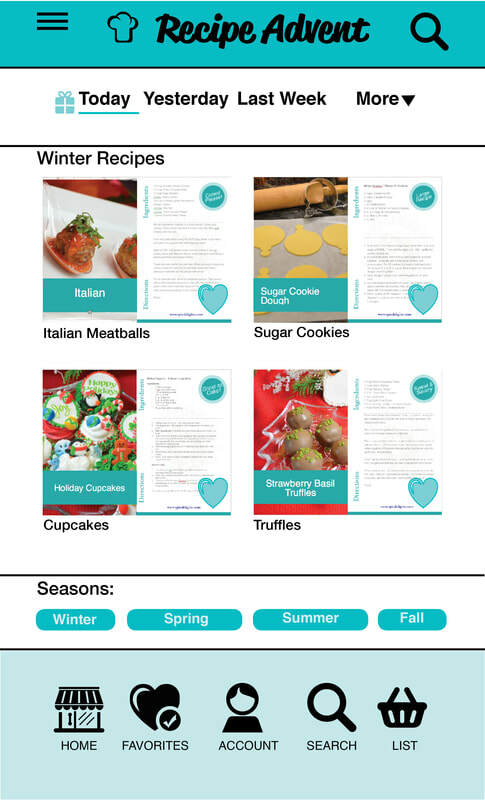 The client wanted fun colors that captured the spirit of the baker. 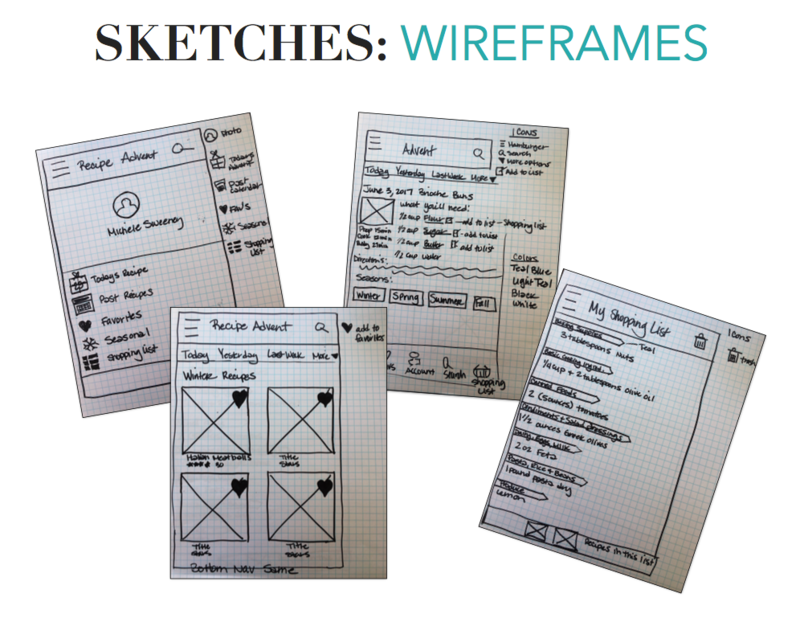 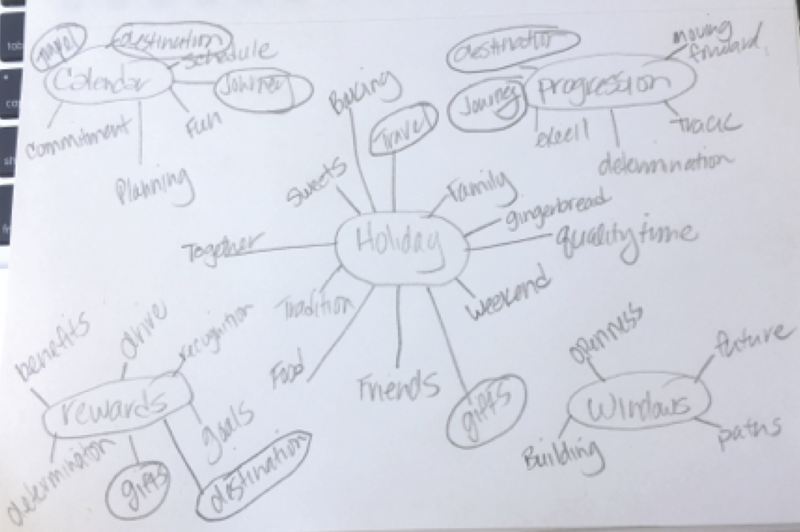 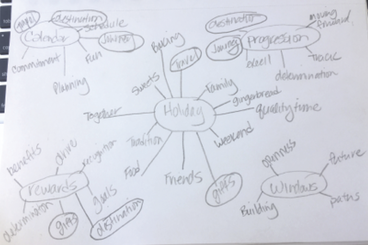 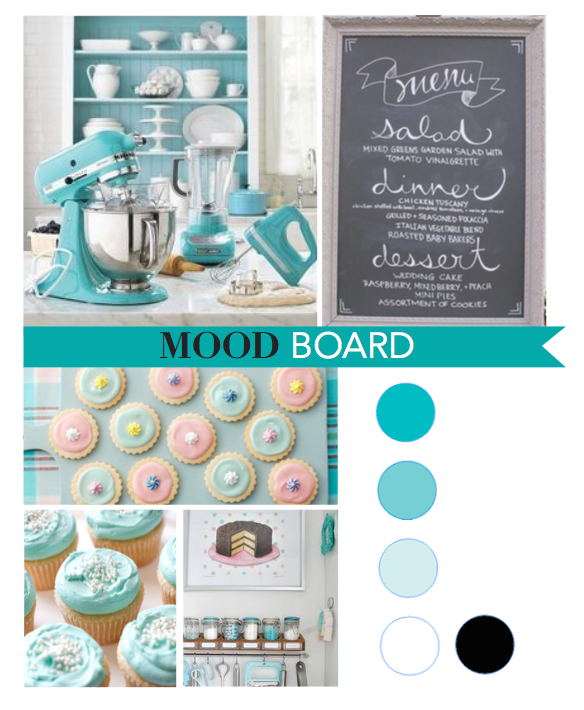 We created a mood board to illustrate how we could accomplish that goal. 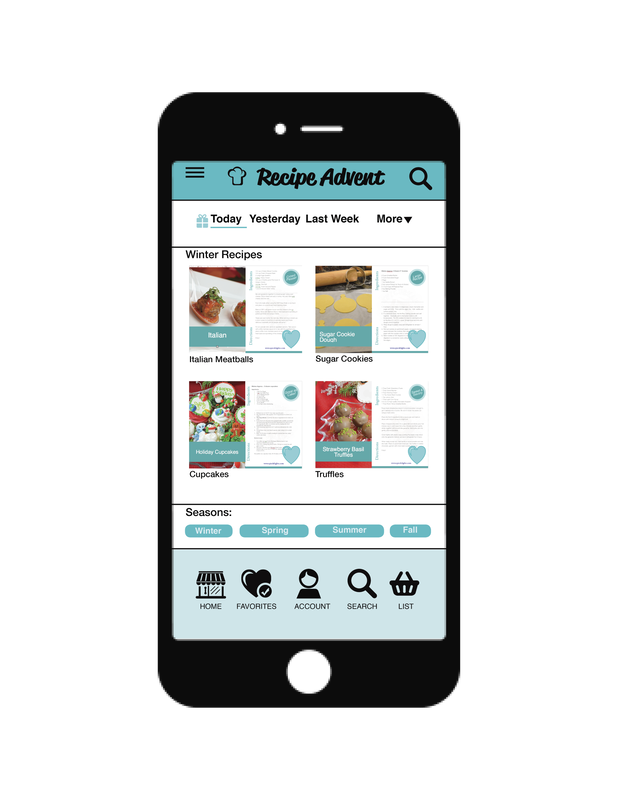 To the right you can see we chose fun colors, fonts and imagery that creates a visual representation of what the client had in mind.